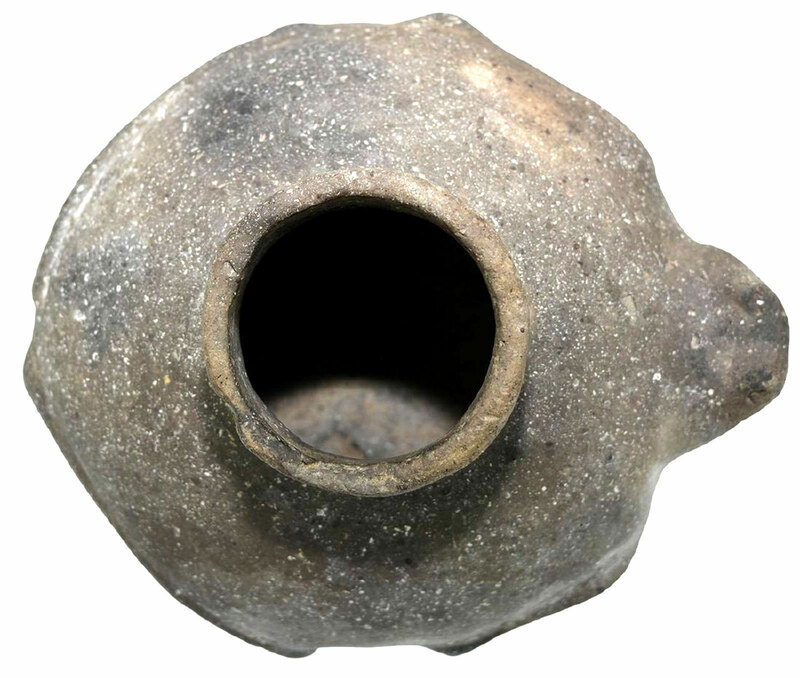 A Small Size Visibly Aged And Detailed Mississippian Frog Effigy Jar/Waterbottle That Exhibits Surface Aging And Clay Coloration Patination, Aged Surface Shell Grog Mixture, Visible Inside Aging And Aged Deposits, Aged Open Pit Firing And Firemarking, Evident Bottom Use Wear, Overall Aged Handle Wear, Correct Shape And Style For The Type, Correct Material And Manufacture For The Area Found. Ex-Tom Davis Collection. This Frog Effigy Jar Has A Protruding Detailed Head, Folding Legs And Is In Very Good, Solid Condition. This Highly Collectible Example, Displays Visible Age And Use. Includes A Ken Partain Certificate Of Authenticity.